U21 Championship. 13th round. October 28, 2016. Schaslyve. Knyazha Arena stadium. Att: 250. 5 oC. In the round’s central match, the first and fifth league teams were meeting. The Pitmen, despite a stalemate in the game against Zirka (0-0), continue topping the table with 29 points. Аfter four defeats at the start, the Odesa side have not lost eight consecutive games (16 points). 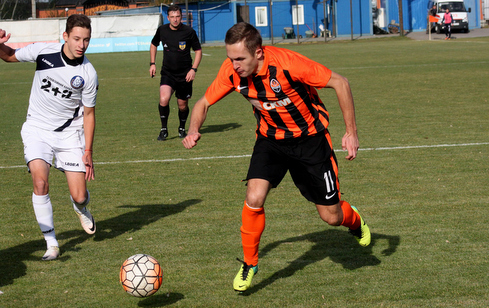 In the first round, the showdown between the opponents on the pitch of Chornomorets ended in a win for Shakhtar (2-1). 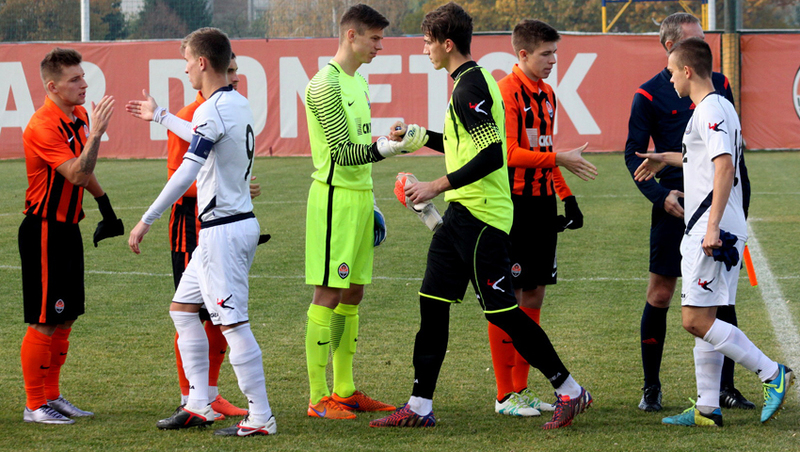 Compared to the previous match, Valerii Kryventsov made a few changes to the starting line-up of Shakhtar: the league's top scorer Mykyta Adamenko returned to his left-wing position, with Oleh Kudryk playing as a goalkeeper, and Denys Arendaruk operating as a central forward. The teams started cautiously, without forcing events, but the first scoring chance led to a goal. On 11 minutes, Mykyta Adamenko successfully challenged for the ball at the far post following a left-hand side pass, and headed the ball to the middle of the box, where Taras Kacharaba fired it home past the visitors – 1-0. After that, the Pitmen virtually dispossessed the opponents and, pushing the Odessans into their half of the field, began shattering their defenсe in a methodical manner. However, finding some open space or the possibility for shooting was not that easy. The Sailors’ defender Gadrani nearly helped the Pitmen: he sent a Hluschuk cross towards his side’s goal only to see it hit the goalpost. Arendaruk fired a dangerous header which went just inches wide. The total dominance of Shakhtar made the Odessans’ mentor make a substitution midway through the first half, strengthening the attacking third with Matheus. It didn’t reverse the game at all, but it was the Brazilian who created the only dangerous chance for Chornomorets, with his long-range shot going wide. After the break, the Pitmen raised the pace and promptly doubled the lead. Mykyta Adamenko received the ball on the approaches to the penalty area, and shot into the near corner, with the goalkeeper being caught just off guard – 2-0. 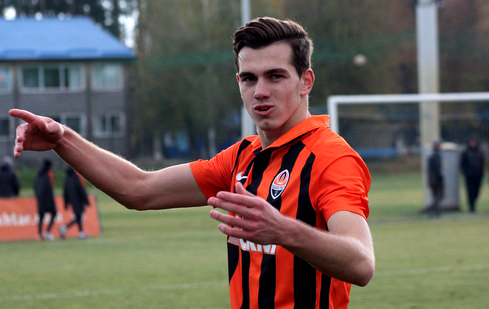 The Odessans had to charge forward more actively, leaving Shakhtar more space for blistering attacks. The Orange-and-Blacks made it pretty fluid, making some passing moves from wing to wing, still lacking the killer pass. Arabidze’s attempts from open play and his set pieces were not effective. Adamenko tried to shoot from close range, with the goalie tucking himself up and parrying it away. At the same time, the charges of Valerii Kryventsov turned in a secure defensive performance again, hardly allowing the opponents to create any danger near the goal of Oleh Kudryk, sealing the win in injury time.Giorgi Arabidze burst into the penalty area and earned a penalty, which he himself converted through a left-hand side stunner. 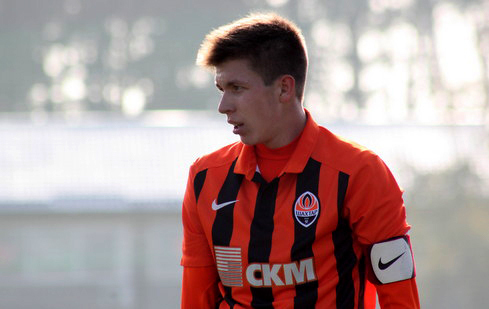 3-0 - Shakhtar confidently beat Chornomorets and they continue topping the league table. The Pitmen are to play their next match away vs Oleksandriya on November 5. - We acted against organised team, whose players defended and moved around well and confidently. We have tried to showcase our trademark style: controlled the game, completely dispossessed the opponents, challenged them high up field and not gave the Odessans a slimmest chance to counterattack. It paid off – in fact, the opponents did not create anything near our goal, while we launched some great attaking moves, turning them into shots and scoring three goals. Most importantly, we continue topping the league. We approach every single game with big concentration, constantly willing to win and ultimately become the champions. - The team was coherent on the pitch, with everyone fighting, trying hard and showing some great performance. Importantly, we kept a clean sheet – it adds confidence in the following games. Today, we have fulfilled everything we practise in training: we dominated possession, operating confidently and reliably. We scored the first goal after a set piece: after a delivery to the far post, Adamenko dropped it, with Sahutkin, Ihnatenko or me having to get on the end of it. Today, I was lucky enough to be first on the ball and score. The main thing is that we have achieved a great result, claimed the three points and continue to be sitting in the top spot. We must always be in that spot and showcase our top level.